Our company provides upgraded attic insulation Northern Virginia and in the Washington, DC metro area for all homeowners. We are the #1 provider of attic insulation in the area. As home insulation contractors, we have provided more insulation than anyone else in the area. Homeowners come to Discount Energy Services for our reliable reputation and expertise for installing new or replacing existing attic insulation. 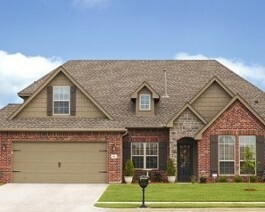 Our motto is 'old homes are our specialty,' and we always provide the best work at the most affordable price. Don't you deserve the best? 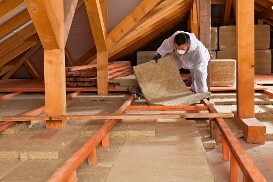 We recommend cellulose fiber attic insulation because it is not itchy, and it is not a health hazard. However, we also use white, blown fiberglass for certain applications, which is certified formaldehyde-free. Our experts also use batt insulation for special applications. Upgraded attic insulation of an average-sized house takes 2 to 4 hours, while some houses take a whole day. 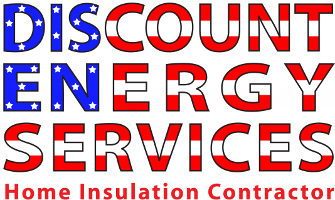 Our insulation contractors assess your home insulation needs and give you a free written estimate. We can also go over the various insulation options that best suit your home to save you money on your heating and cooling. We always install the proper ventilation to ensure an efficient system. When the attic is well ventilated, it is much easier to heat and cool the house—insulation pays for itself. Discount Energy Services uses the tried and tested Silver Shield radiant barrier by Fi-Foil™. When installed on the underside of the roof, this product reduces the radiant sun's heat and helps regulate the indoor heat or attic air temperature. Similarly, the Silver Shield radiant barrier keeps the warmth in during the winter. This ensures that properly installed radiant barrier reduces your heating and air conditioning costs. When it's time to upgrade your home insulation; contact our home insulation contractors in Springfield, VA at (703) 550-0035. We are your #1 choice for attic insulation Northern Virginia and DC.Discount. 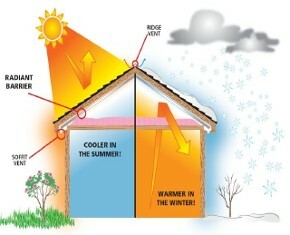 We can save you money on heating and cooling with upgraded attic or wall insulation installation.